A small part of me wanted to just write the title, and then have *mic drop* as the only text in this post. 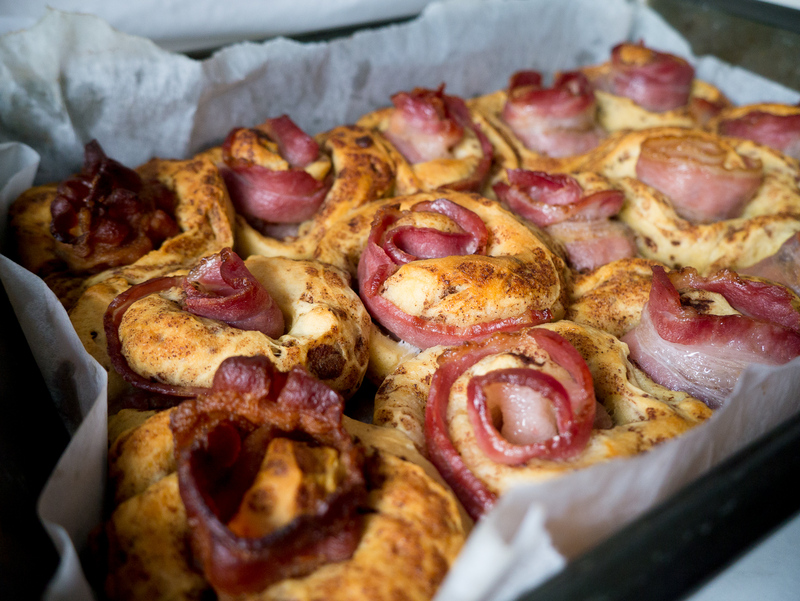 I think the fact that we have bacon and cinnamon rolls in the same title really does speak for itself, and if it doesn’t feel free to check out the photo below. 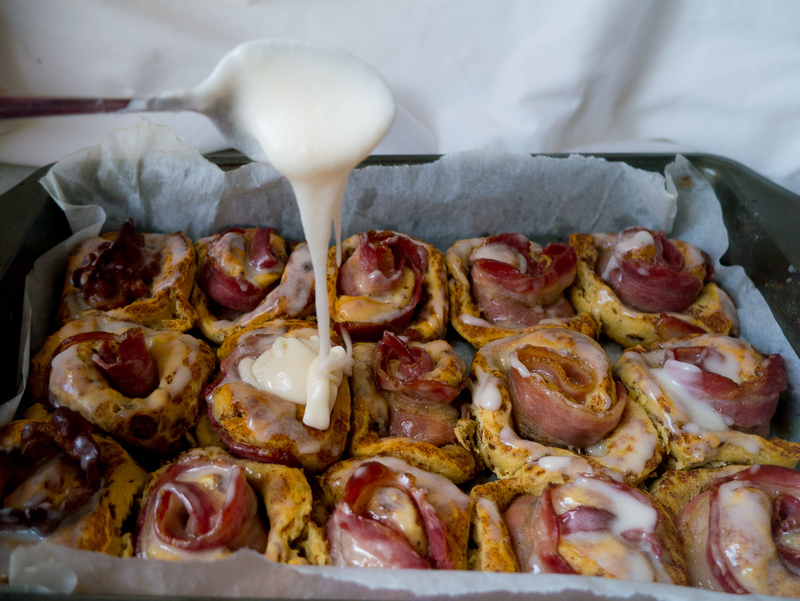 When I think about these cinnamon rolls I can’t help but hear Sir Mix-a-Lot in the back of my head remixing his one hit wonder to say “my stomach don’t want none unless you got bacon buns, hun. You can do croissants or pancakes, but please don’t lose that Pillsbury. Baby got buns.” No one else thought that?? 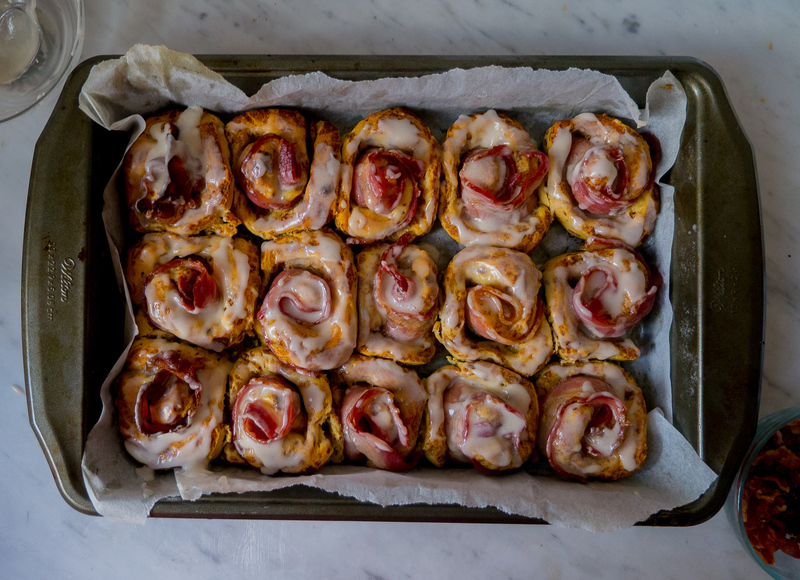 Anyway…this breakfast/snack/dessert/whenever pastry is the perfect sweet and savory combination, and because we use pre-made cinnamon rolls is actually easy! There’s bacon everywhere and I mean everywhere in these buns; it’s rolled up inside, in the cream cheese frosting on top, and finally crumbled and sprinkled on top. 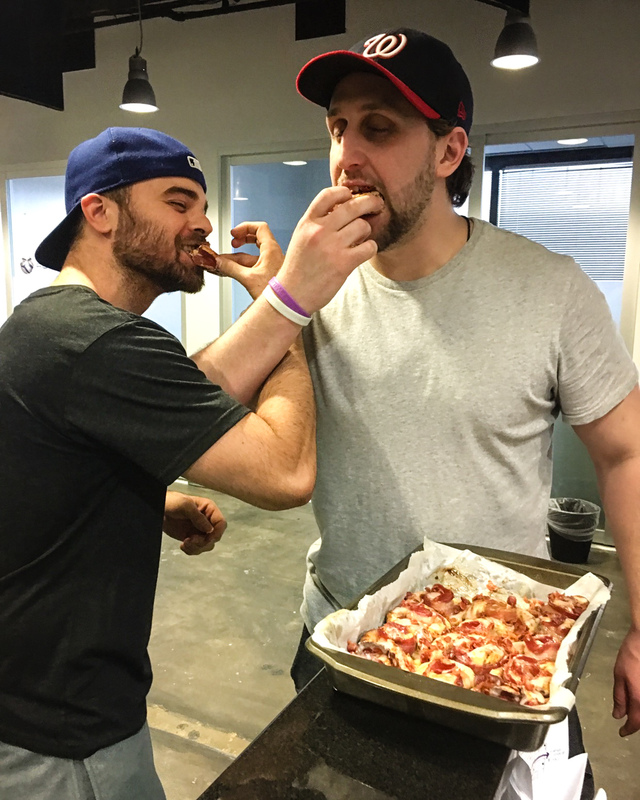 Bacon lovers, get ready. My ideal weekend morning would involve waking up (not hungover) at around 9, pouring myself a cup of coffee, and leisurely making these while listening to Chip and Joanna Gaines argue over which house is better to fix up (“but this one already has shiplap!”). 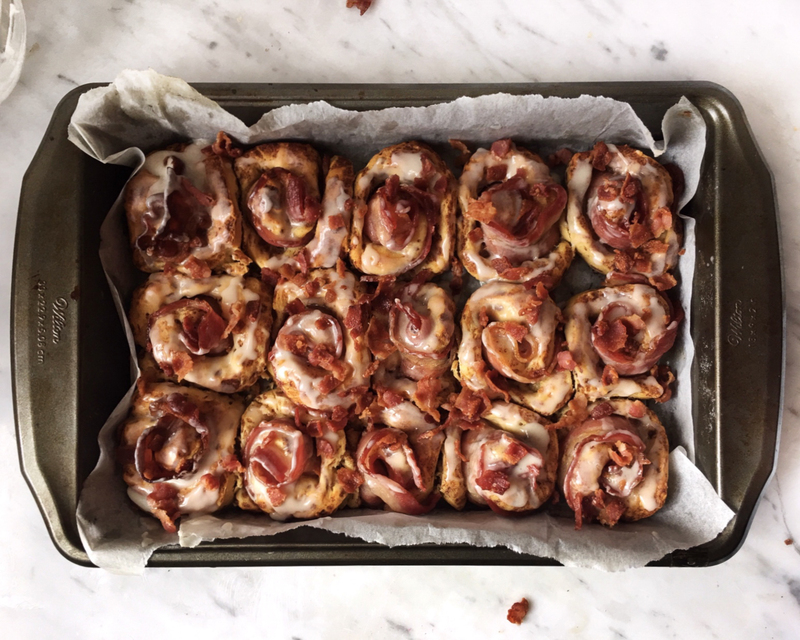 Since we’re using pre-made cinnamon rolls, the only thing we have to do is semi-cook the bacon and then roll it up inside the cinnamon roll. I microwaved the bacon for a minute and drained off the excess fat (to be used in the maple bacon glaze, of course), and then pulled the cinnamon roll apart into a rectangular piece of pastry. There are markings on the cinnamon roll that I used as my guide to unravel them. 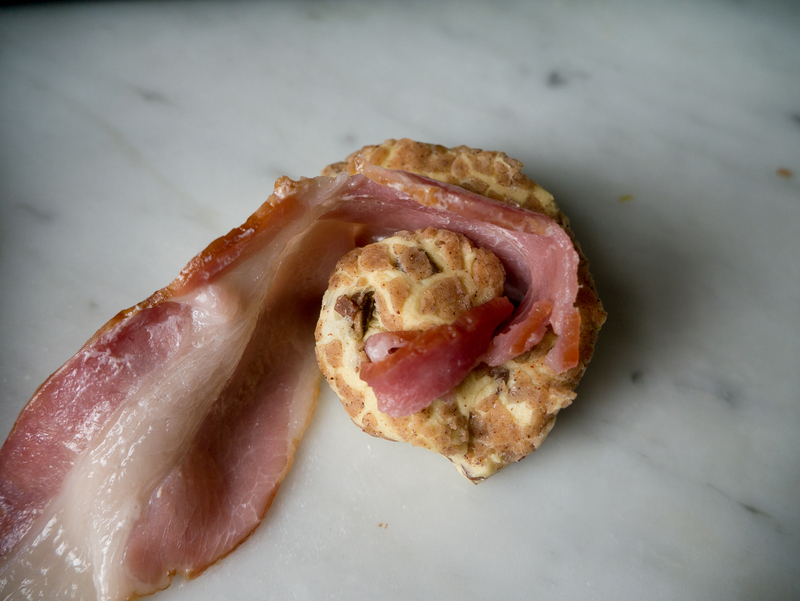 Lay the piece of semi cooked bacon up against the unrolled cinnamon bun, and roll the two together until they’re back in the cinnamon bun shape. 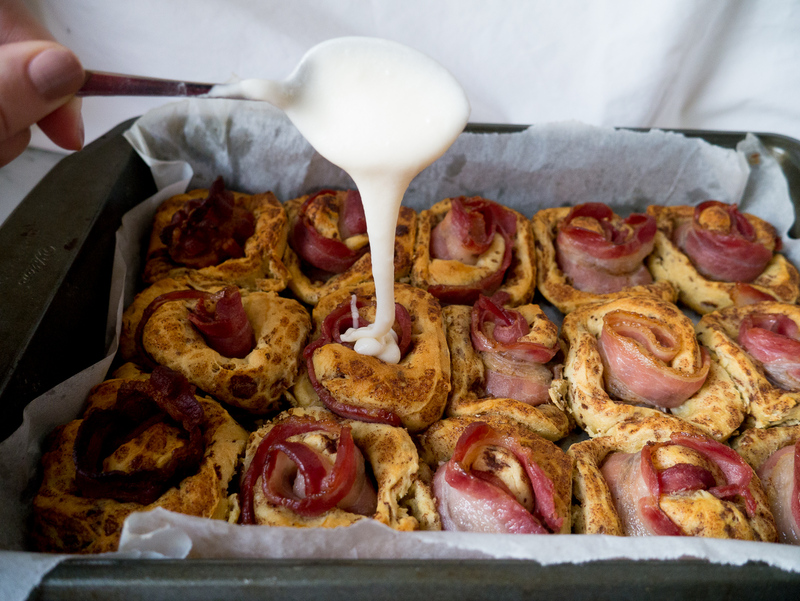 Place in a baking pan and repeat with the rest of the bacon and rolls! 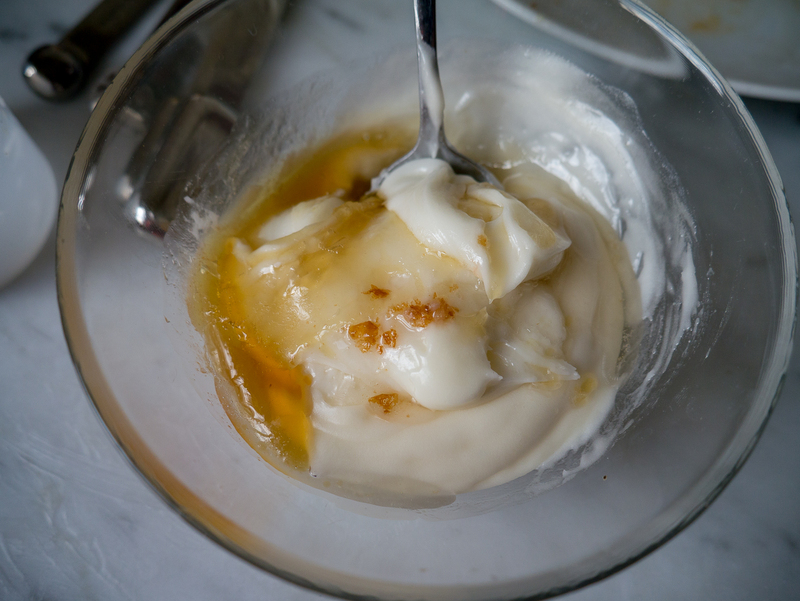 While they’re baking, add some of that reserved bacon fat to the cream cheese frosting. Trust me, don’t skip this step. Stir to combine for a crazy good maple bacon glaze. 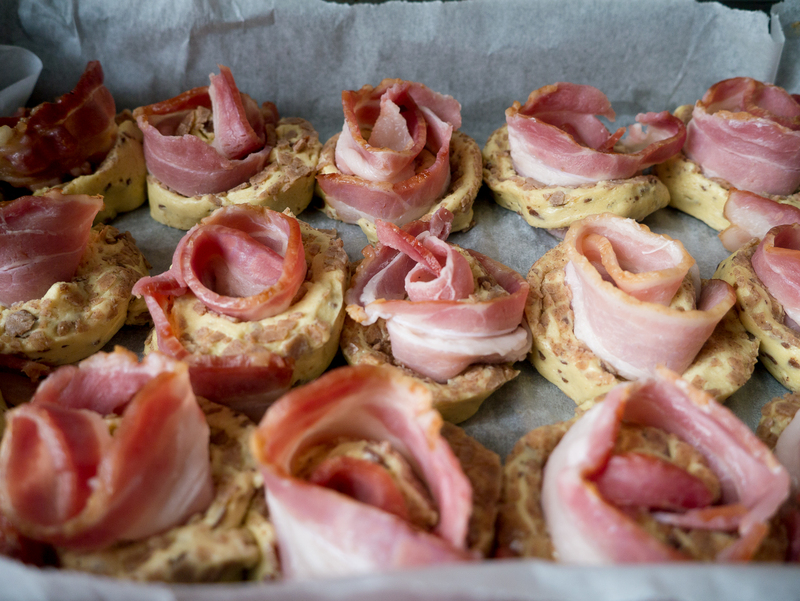 Pour that delish glaze all over these, top with more crumbled bacon, and serve! I brought these to Zack’s work that way I wouldn’t devour 12 of them by myself, and him and his co-worker loved them. As in had 4 each kind of love. Give them a try next weekend and let me know what you think! Preheat oven to 350 degree. 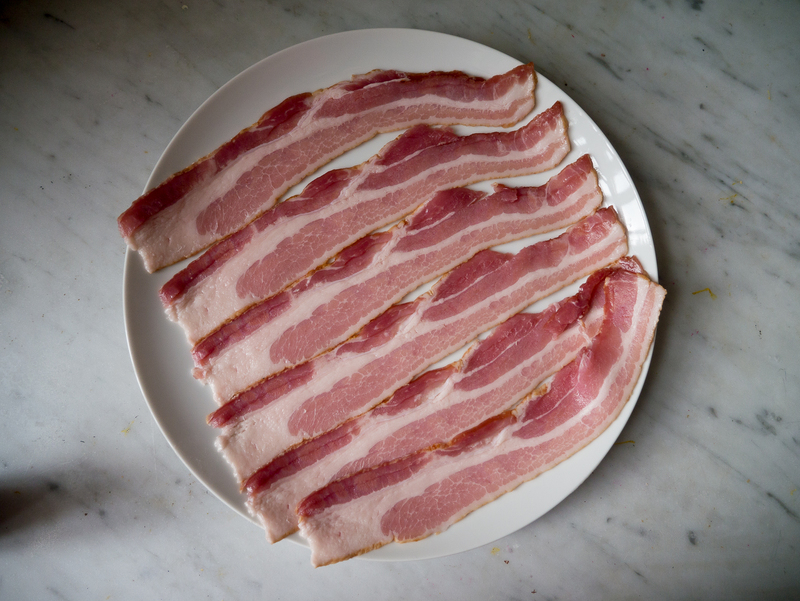 Lay bacon slices on a plate and microwave for 30 second intervals, until partially cooked, about 1 minute 30 seconds. 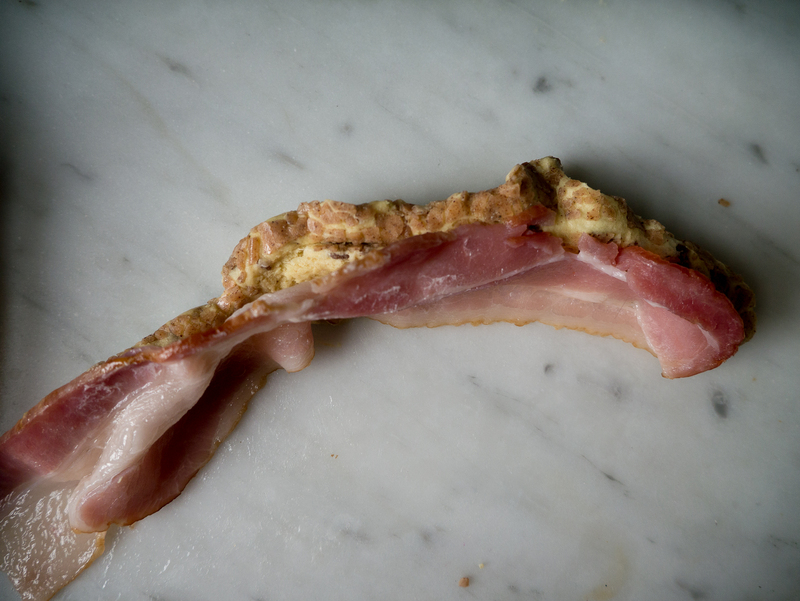 You want the bacon semi cooked, but still pliable. Drain fat from bacon and reserve for later. Set aside 6 pieces of bacon, and cook the remaining two until crispy, about one more minute. 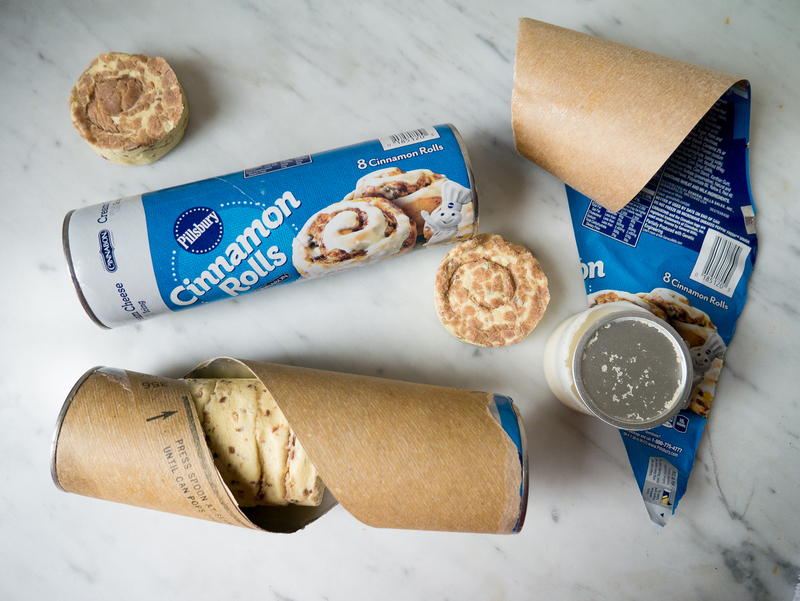 Remove cinnamon rolls from package, and unroll each of them to form a long piece of pastry. 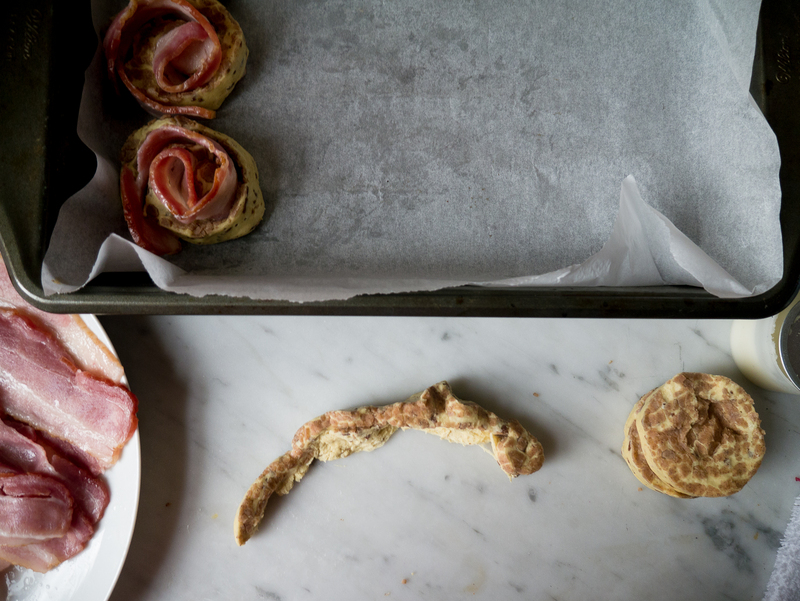 Lay a bacon strip on top of the cinnamon roll, and roll up back into original shape. 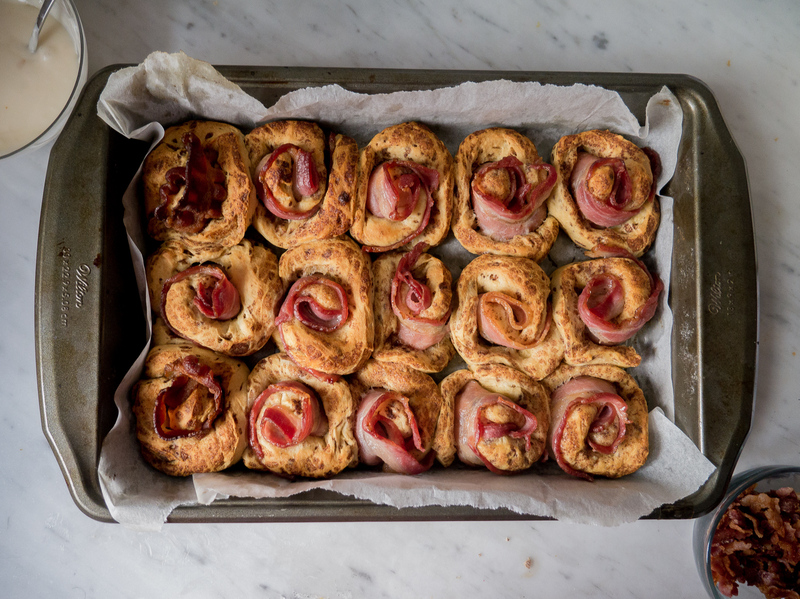 Place in a parchment lined baking dish, and repeat with the rest of the bacon and rolls. Bake for 25-30 minutes until golden brown and cooked through. 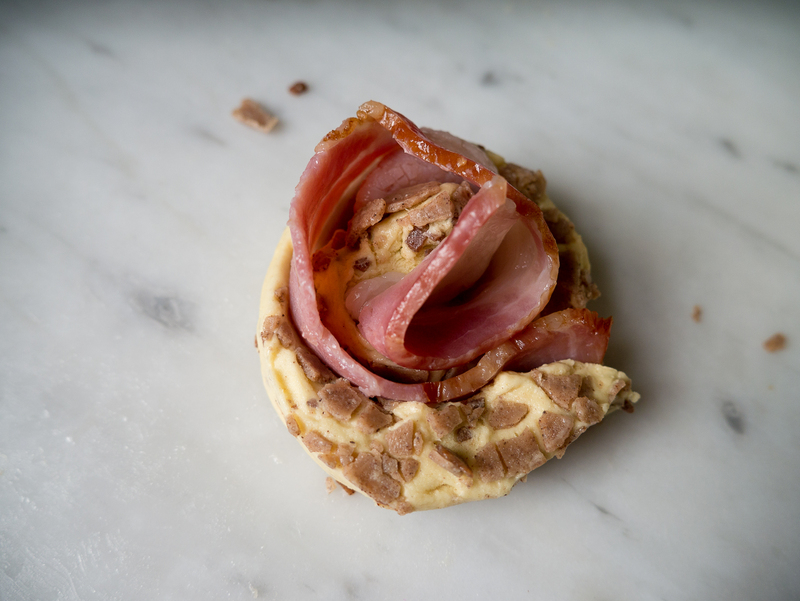 While rolls are baking mix 1 tablespoon of bacon fat into the cream cheese frosting, and crumble the two remaining pieces of bacon. Remove cinnamon rolls from the oven, and inhale that incredible smell! Let cool for 10 minutes, and spread with the maple bacon glaze and top with crumbled bacon. 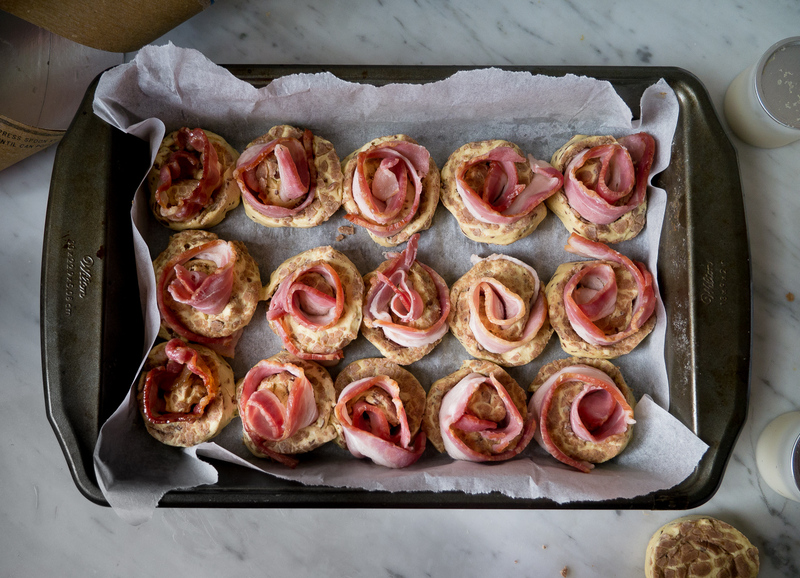 Enjoy being the star of whatever brunch party you take these to! Loved the bros taking down the whole pan!